Get your boxed copy together with Zatacka in the ATARI ST Multiplayer Power Pack including the ST4PLAYER Adapter (optional) + more ATARI ST games and other retro stuff in the ANARCHO Ride Laboratorie´s Retrobox Shop! Unlock the FROGS MEGAPARTY MODE! 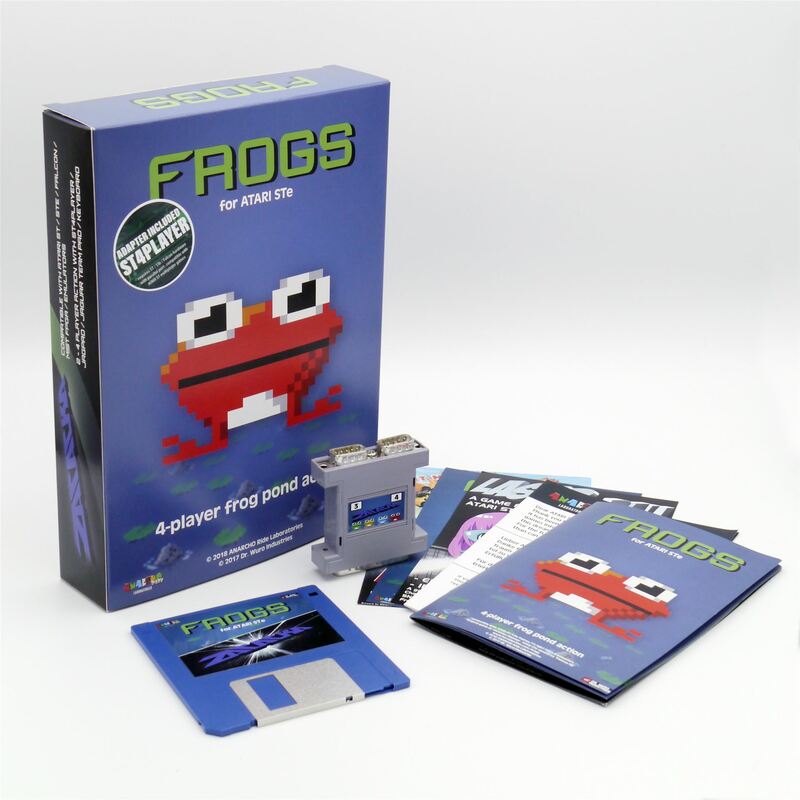 With the boxed version comes the instruction how to unlock a 6 frogs game - for full FROGS madness!